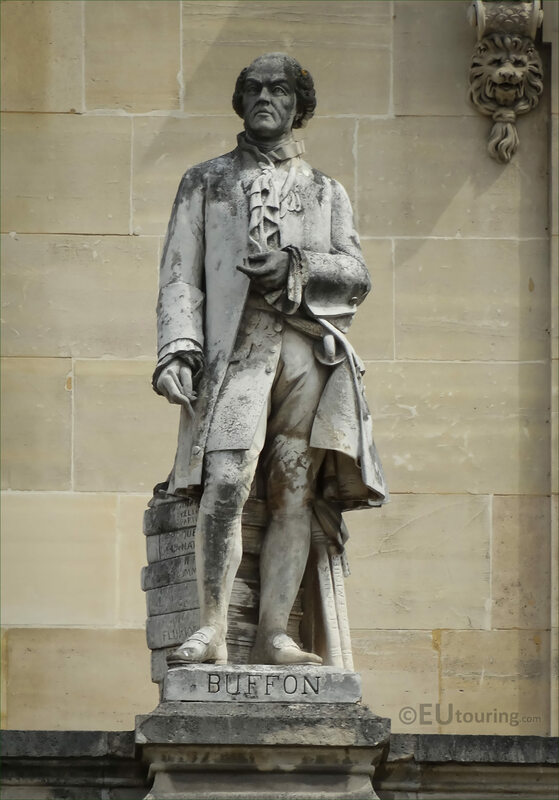 This time while we were in the Cour Napoleon courtyard of the Musee du Louvre, we were admiring the statues on the Aile Turgot wing and took these high definition photos of a statue dedicated to Comte de Buffon by Eugene Andre Oudine. 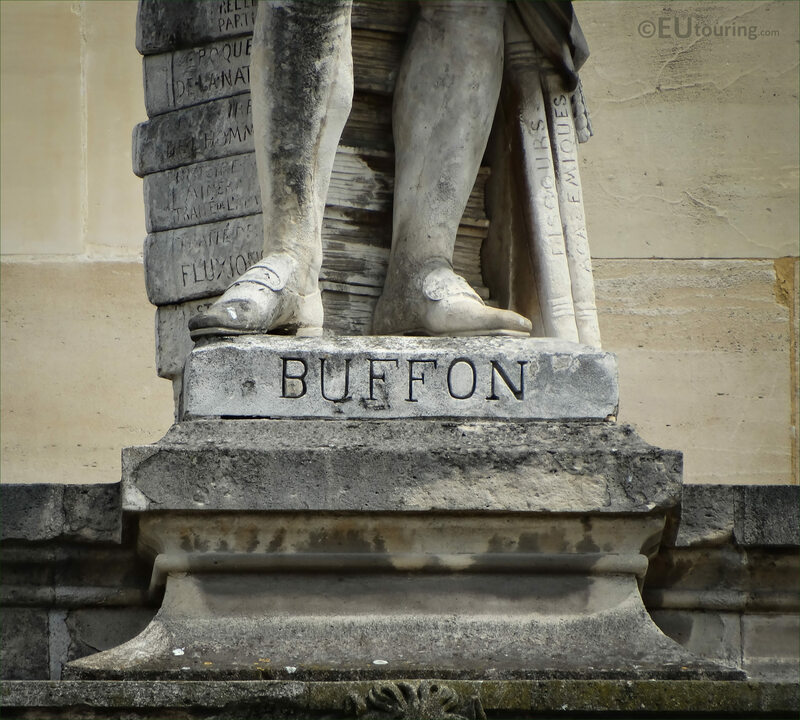 This first HD photo shows the statue of Buffon on the Aile Turgot wing of the famous Louvre Museum tourist attraction, and this is located on the first level balustrade above the colonnade and it is positioned fourth from the right hand side as you are looking at the facade from the main courtyard. Now this stone statue was sculpted by Eugene Andre Oudine who was born in 1810 and became a French sculptor and medal engraver, which is what he is most well known for, working for the Paris Mint. 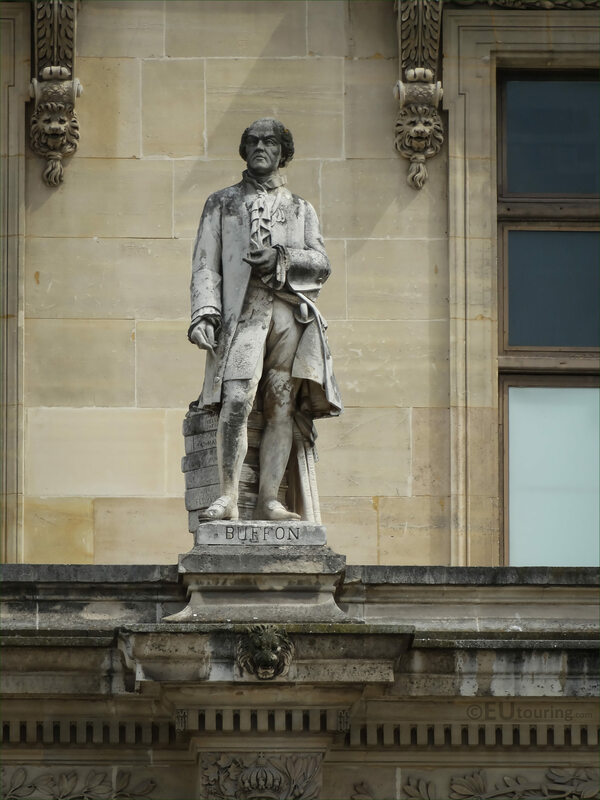 Yet he produced many monumental statues and sculptures that can be found in several places around Paris including within the Tuileries, Luxembourg Gardens and of course this one on the former Palais du Louvre. So in this last image you can see a close up showing the name inscription on the base of the statue, and this is dedicated to Georges-Louis Leclerc who was born in September 1707 and later became the Comte de Buffon, which is named after a village the family purchased. And although Georges-Louis Leclerc, Comte de Buffon originally studied mathematics, he went into the field of science, eventually becoming a naturalist and encyclopedic author on natural history. Then in 1739 he was appointed the director of the Jardin du Roi, which is now called the Jardin des Plantes, and was instrumental in improving the gardens and transforming them into a major research centre and museum, leaving a legacy behind that has inspired so many people since.